This car now has a great new home in the showroom of a TOYOTA dealership in Georgia! The FJ43 Model is a larger family version of the TOYOTA FJ 4x4, with a longer chassis and more passenger and trunk capacity. Built in 1982, this is one of the more complete editions of the car, with hydraulic steering, air conditioning, individual front seats, diff locks and a beautifully designed dash. This FJ was manufactured in Japan and purchased by Siemens Corporation for the transport of a German engineer, who kept it until 2013, the year in which our restoration began. This one-owner car was meticulously maintained using original parts from authorized dealers, and there is full documentation of its impeccable background. Its legendary 2F 4.2-liter engine has only travelled 155,000 miles, a solid indication of its top shape. The original gearbox offers four speeds, and a low range for tough terrain. Additionally, thanks to the care of its sole owner, this car comes with an original toolbox, an original power outlet for an auxiliary light and all its emblems and accessories. 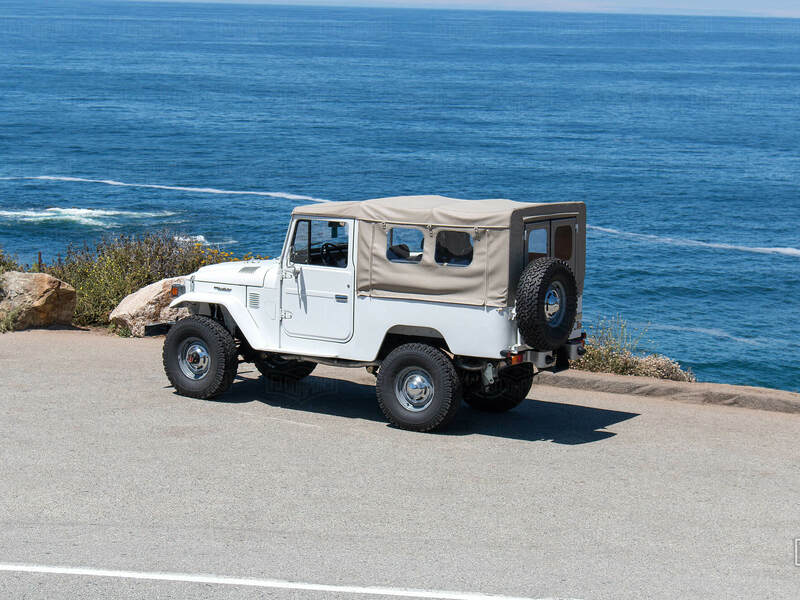 Interested in an FJ43 Land Cruiser like this one? Custom build an FJ Land Cruiser to your specs - or contact us for something completely custom!